Don’t miss it! 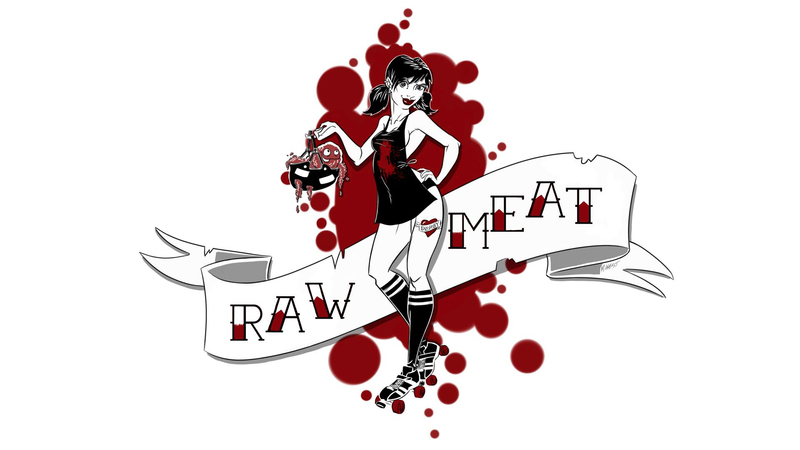 This Saturday is the last Raw Meat Vancouver Roller Skating session at Thunderbird Community Centre until September. Join us this Saturday from 5-7 PM at 2311 Cassiar St. for two hours of roller skating thrills and roller derby drills for just $7. Starting on April 16, our sessions move to Royal City Curling Club, 75 East 6th Avenue in New Westminster, from 10 am to noon every Saturday. We’ll be at RCCC every Saturday until August 27. I hope you can join us at RCCC. It has a beautiful polished concrete floor, perfect for learning to skate, and there is a full roller derby track and plenty of room for every skater to stretch out, and practice at the level that’s right for them. Everyone is welcome at these sessions, whether it’s your very first time on roller skates, or you are a seasoned roller derby veteran, just looking for more time on eight wheels. Sessions at RCCC are $12. At Raw Meat Vancouver Roller Skating, you’ll learn all the basic roller skating skills you’ll need to try out for a roller derby league or just tackle the Seawall in style. You’ll learn stops, falls, jumps, transitions, skating backwards, agility, and more. All skaters at Raw Meat sessions need roller skates, a helmet, mouth guard, and wrist, elbow and knee pads. Please note: the floor at RCCC is lovely to skate on, but it’s also very hard. All skaters at RCCC must wear their mouth guards, no exceptions. If you are looking for roller skating gear, Rollergirl.ca (at 11th and Main St.) sells all the equipment you need. They also rent roller derby packages, so that you can try skating for a week or two before you commit to all the bits and pieces. Try it—I bet you’ll love it! Renting gear is also a great option if you are visiting Vancouver, and don’t want to haul your derby bag with you. Raw Meat sessions are always drop-in, so you if you are in town and want to skate, just come on by! Raw Meat only has two rules: 1. Be safe. 2. Don’t be an asshat. Rules to live by, people! Rules to live by.